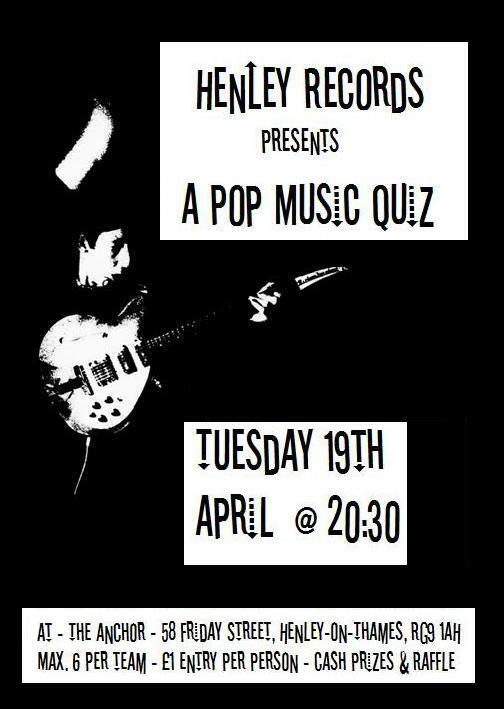 Henley Records will be hosting a Music Quiz at The Anchor, Friday Street, on Tuesday 19th April at 20:00. There'll be cash prizes for the top two teams, and a host of musical goodies available in a raffle. So come on down and flaunt your musical genius.